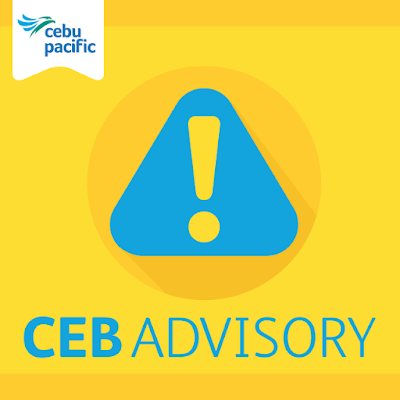 For flight re-bookings or other concerns, guests are advised to contact the Cebu Pacific hotline at +632 7020-888. They may also message the official Cebu Pacific Facebook Page, follow them at Twitter Account and their Instagram Account. Liquids, aerosols, and gels inside a hand-carry bag should be in a container (100 ml or less) and they should be placed in a clear, re-se­alable plastic bag.